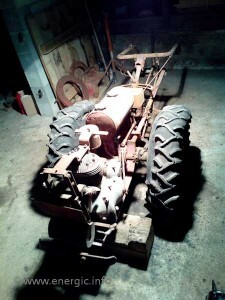 Engine/Moteur. 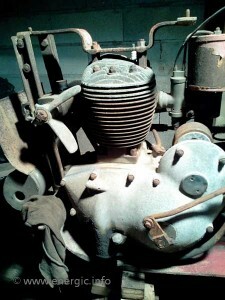 Single cylinder, air cooled,four stroke with enclosed side valves (Lateral). 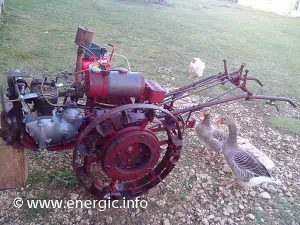 The Energic motoculteur D9 develops 9hp (CV) from the S bloc motobecane. Lubrication. By constant circulation of a gallon (4,5 liters) of oil from a separate reserve tank. The circulation pressure being attained from crankcase compression , and controlled by a float. (see oil ball float return valve). Energic motoculteur D9 project Mont. Hitch. 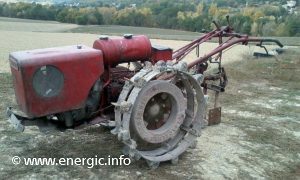 All implements are attached to a swinging drawbar by means of a single pin. 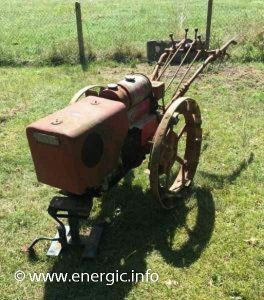 A patented devise allows the plough to work outside the motoculteurs width, maintaining the draught from the centre of the motoculteur. Fuel consumption. Four hours per gallon of petrol. or 1 hour per 1,25 to 1,5 liters of fuel. the tank holds approx. 9 liters. 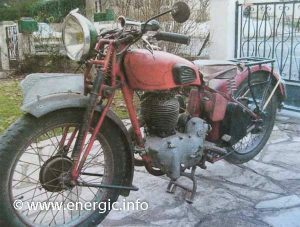 Energic motoculteur D9 project Azille. Weight. 8 1/4 cwt. Or 420 kgs. 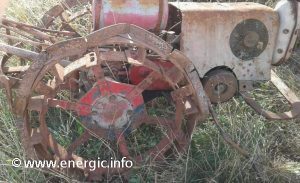 Voir/see Energic motoculteur D9 restauration Azil here/ici. Here is a Energic motoculteur D9 motobecane S bloc fitted to a motocycle after internal gearing has been changed. Yes it can be done, but you need to manufacturer certain parts. The owner of this motocycle ironically said that they wished they had kept the motoculteur! 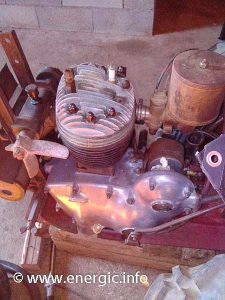 Energic motocycle conversion of a motobecane D9 moteur.